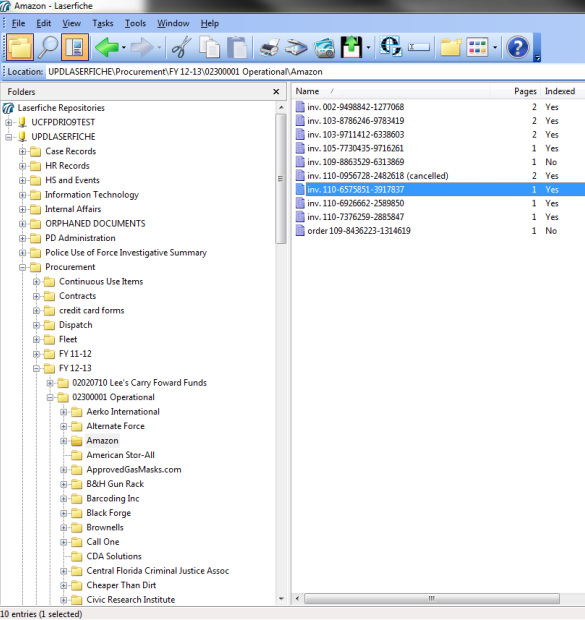 The University of Central Florida (UCF) Police Department comprises many different divisions, each with its own documents and records. Here is how the UCF Police Department organizes records within the repository and complies with the State of Florida Library and Archives retention policy. When designing the repository, it was necessary to take into account exactly how each division within the department searches for documents. For example, the Patrol division has folders set up by year, month and case file number. Meanwhile the invoices maintained by the Procurement division are stored in folders by fiscal year and vendor. 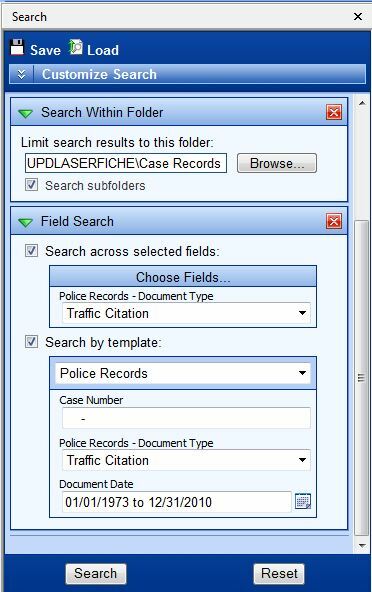 The UCF Police Department found that the way files are organized in the Laserfiche repository does not have to be the same as the way physical files were organized. It is best to rethink the organization scheme to make sure that it is optimal, rather than simply replicate what was done previously. 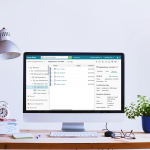 In addition to browsing for documents, records will also be located by using Laserfiche Search. In order to facilitate searching, it is very important to create extensive document templates. A Laserfiche administrator should sit down with the divisions involved and have them write down every possible thing that they would like to locate documents by. That is the information that should be stored in template fields. Since each division deals with different files and works with them in its own way, the UCF Police Department decided to create a separate document template for each division. Here is what the Police Records template looks like. Here is what the Procurement document template looks like. To account for different types of documents within each particular division, the UCF Police Department created a “Document Type” list field. A “Document Type” field is contained in every template, though the document types available to be selected differ by division. 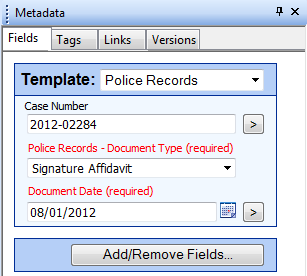 In order to facilitate records management and comply with the state of Florida’s Library and Archives retention policy, the UCF Police Department added a “Document Date” field to each template. 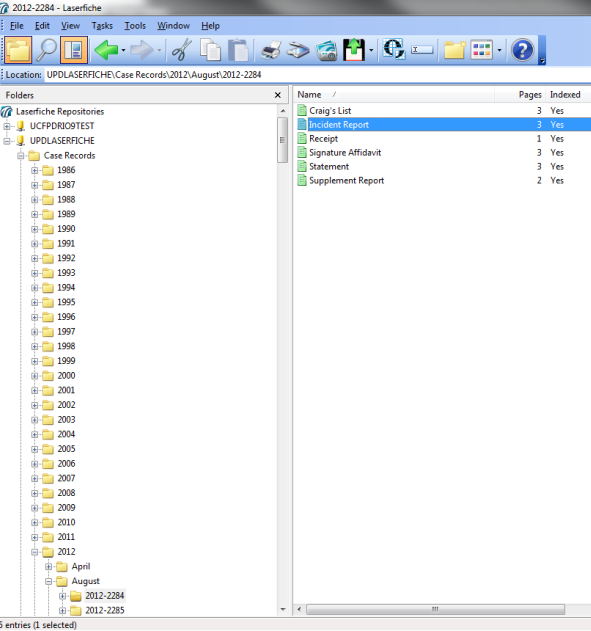 Twice a year the Records Manager runs a search in Laserfiche for all of the documents that have met or passed the retention guidelines, and deletes them. In order to make sure that nothing is deleted that shouldn’t be, the Records Supervisor looks through the Recycle Bin after the Records Manager deletes the records. Once this second check is completed, the records are purged from Laserfiche. Sensitive data can be redacted using the redaction tool so that unauthorized users never have access to it. Records are deleted after they reach their retention so that the repository is never cluttered with old, unnecessary files. 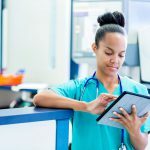 Documents can be found quickly and easily while each division still has a say in how to best organize its own files.